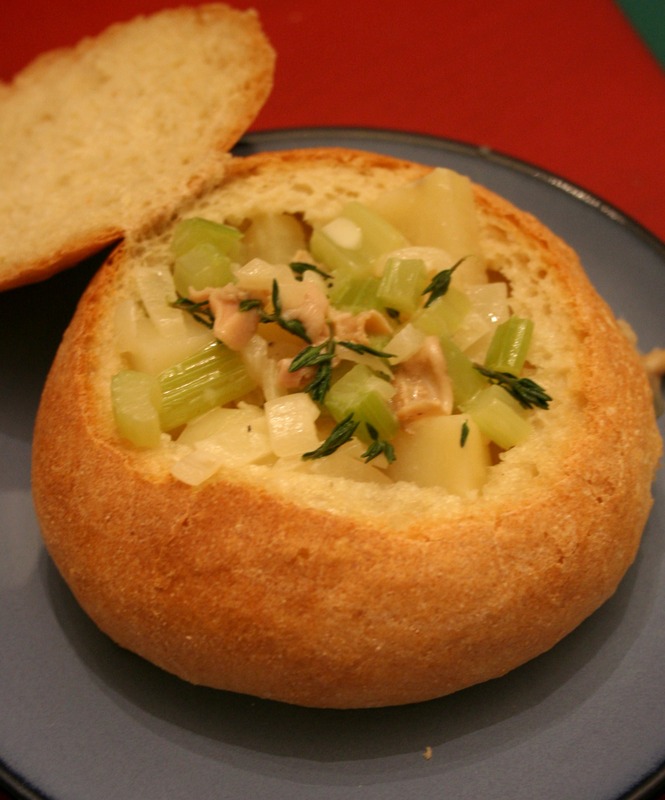 Quick Post: Yesterday I had a brilliant idea – clam chowder in a bread bowl. I have never eaten clam chowder this way, but I knew that it would be worth making. This was rich, flavorful and a definite keeper! We enjoyed eating the bread bowl after because it soaked up so much of the broth, which also made the bread easier to eat (it’s pretty chewy – but perfect for this kind of soup). December is the best excuse for making this kind of meal 😉 So are all the other cookies and carb heavy recipes I have shamelessly eaten lately! Thanks for reading, enjoy! Heat the butter in a large pot over medium-high heat. Add the onion and celery and saute until softened, mixing often. Stir in the flour to distribute evenly. 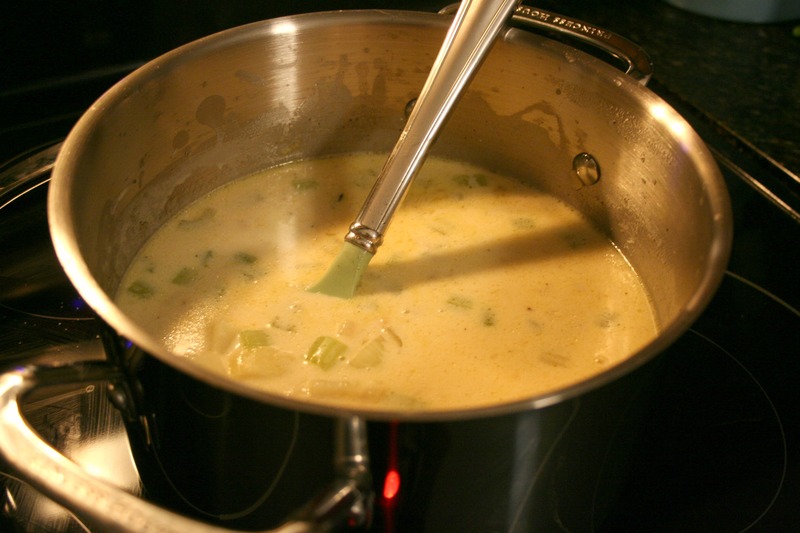 Add the stock, juice from 2 cans of chopped clams (reserve clams), cream, bay leaves, and potatoes and stir to combine. Bring to a simmer, stirring consistently (the mixture will thicken), then reduce the heat to medium-low and cook 20 minutes, stirring often, until the potatoes are nice and tender. Then add clams and season to taste with salt and pepper, cook until clams are just firm, another 2 minutes.